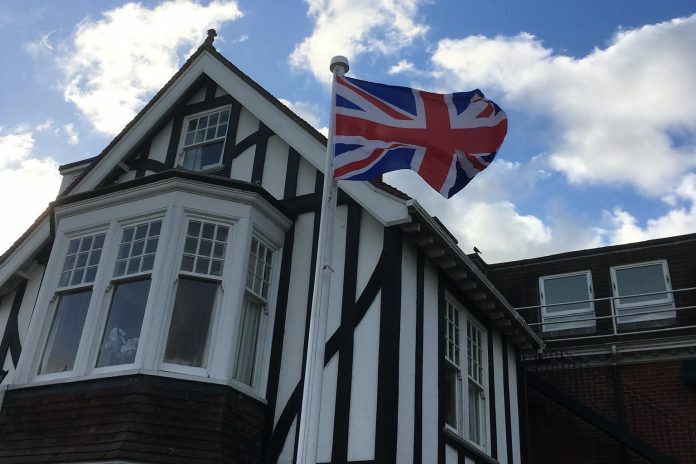 I have noticed during my travels around Rye that people are flying the Union Jack upside down. If you’re wanting to be patriotic then the flag should be flown in the correct manner. I noticed that the Rye Lodge hotel was flying the flag upside down last week. I went into the hotel and informed the receptionist about the error but one week later the flag is still upside down. Image Credits: Michael Bowers, The Flag Institute. Next articleWill road chaos hit visitors? One of my constant irritants also is to see the Union Flag hoisted upside down. However, the flag referred to doesn’t appear to be flown the wrong way. The broad part of the white cross is indeed above the narrow part of the red cross at the bottom of the hoist. However, from the picture it seems that this is reversed at the top half of the flag. But who am I to say?……I haven’t seen it in real time. 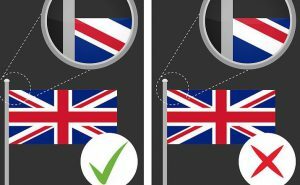 I find the easiest way on how to remember to fly the flag is the thick white line of the Union Jack is always on top and the thin line underneath. The flag itself does not appear to be the correct design – compare the photo to the graphic in the text. I agree. I checked today and it would definitely seem that the Rye Lodge flag has been wrongly printed. From the editor: Yes, I agree. Some mishtake shurely! There is no reference to Wales on the Union flag, usually ignored in British history. Incidentally Pugin also ignored Wales in the Royal Throne in the House of Lords, just quartered England, Scotland and Ireland. The broad white diagonal is above the red diagonal cross of St. Patrick. They didnt bother to update it when Ireland became a separate country, now a Republic. I did point this out (as an ex Queen’s Scout) to the man raising the flag. He obviously thought I was another Rye nutter and didn’t understand what I was talking about! Note to the editor, it’s not a Union Jack it’s the union flag, a small detail but a mistake too often made. From the editor: Dear Mr Edwards, Thank you for your comment on the Union Flag/Jack saga although I fear I must disagree. We checked this out and you may be interested in the information from the Flag Institute, a membership-run vexillological charity, who tell us that “the national flag of the United Kingdom, the Crown Dependencies and Overseas Territories is the Union Flag, which may also be called the Union Jack.” The institute also notes: “it is often stated that the Union Flag should only be described as the Union Jack when flown in the bows of a warship, but this is a relatively recent idea. From early in its life the Admiralty itself frequently referred to the flag as the Union Jack, whatever its use, and in 1902 an Admiralty circular announced that Their Lordships had decided that either name could be used officially. In 1908, a government minister stated, in response to a parliamentary question, that “the Union Jack should be regarded as the National flag”. I stand corrected, my limited knowledge was gained while serving on one of her majesty’s war ships where we thought it became the Union Jack when flying from the ships Jack Staff. Have their Lordships decided to ‘dumb down’ just to please the masses? Heaven forfend! Ah ha ,, were you in possession of a properly printed Union flag or more commonly part of a boat or ship ensign then the ‘offset’ of the cross’s would be correct . However when the the Chinese started printing flags they thought the offset was a flaw so ‘corrected ‘ them to be uniform , you will see this increasingly on boat duster’s as these are replaced often due to wear , be careful where you buy your flags ..